This large and airy property is the perfect holiday home on the magical Lake Como for you and your party. 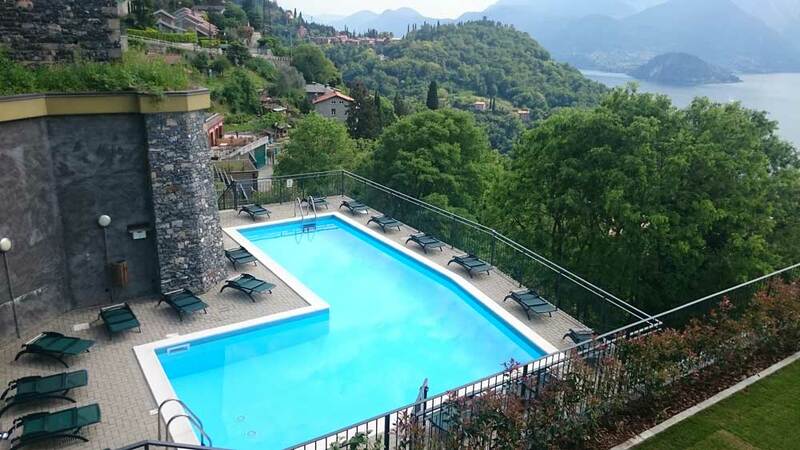 It is set in an exclusive development in the village of Perledo, located above the picturesque and very famous small town of Varenna. 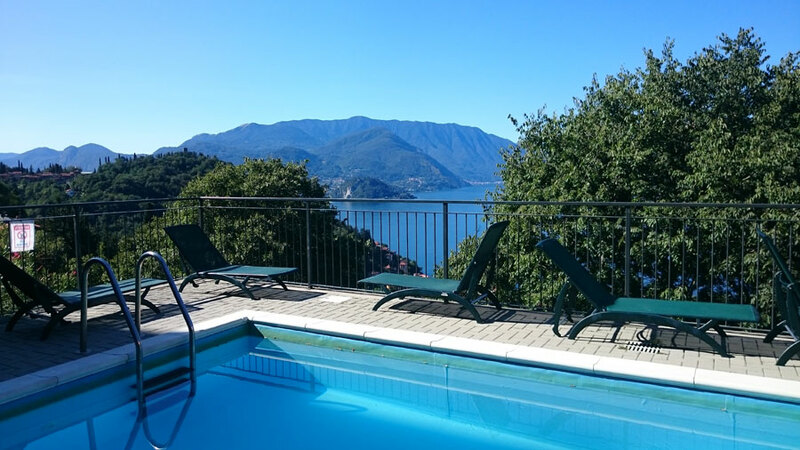 The property enjoys amazing views from the balconies and terrace and has also a shared swimming pool overlooking lake Como. It sleeps up to six people in two large bedrooms with en-suite bathrooms and a sofa bed. This fully equipped, sophisticated and family-friendly apartment offers all facilities including private garage and free Wi-Fi. The apartment is equipped with modern kitchen, large dining space and spacious living room opening onto balconies with spectacular views. The master bedroom and its complete en-suite bathroom, the second bedroom with a double bed and single bed with en-suite bathroom. The large French doors in the living and dining area offer breathtaking views on Bellagio, Lenno in the Golfo di Venere , the Tremezzina and its villas, Menaggio and Isola Comacina. The terrace is furnished and has also a barbecue. Varenna is a famous resort town very well connected by ferries with a Lecco-Milan train service and a fast and frequent car and passenger ferry service to Bellagio, Menaggio and Cadenabbia. Jewel is accessed through stairs from the private garage at the Mimosa complex entrance. The pool with solarium, sunbeds and shower is just on the right side of those stairs. The apartment is accessed from the rear of the property and you enter directly into the large living and dining area with the unique views. This open space has a dining area with table for eight and the living space has a big and comfortable sofa and a second one convertible into bed, all facing the magic views. The living area has also a large flat screen TV with satellite channels, Hi-Fi and a DVD. Free broadband internet is available through Wi-fi . The kitchen area is modern and fully equipped for your Italian cooking experience. It is fitted with modern appliances including the dishwasher, microwave, coffee machine and equipped with crockery, pans and accessories. Special bins and bags are provided to help you sort and recycle rubbish. A useful kit with dishwasher tabs, sponge and detergent is provided. The first bedroom is accessed from the living and is nicely furnished in modern style and has a large double bed, wardrobe and drawers. The en-suite bathroom is equipped with shower, basin W.C. and bidet and towel racks and hair-dryer. equipped with shower, basin, W.C. and bidet and towel racks and hair-dryer. Bedding and linen is provided free of charge for number of guests stated. A small storage room fitted with a washing machine, laundry equipment and cleaning equipment is discreetly accessible from the living area. The large swimming pool and sun deck is few steps from Jewel and has superb views of the lake. It is a shared swimming pool and opens from May to September. Sunbeds are provided and there is a shower too. 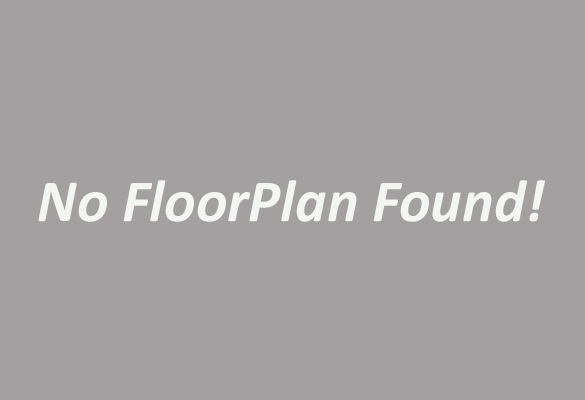 If required and with some notice, we can arrange to get your shopping delivered at the property for you. At the apartment, you will find a handy brochure with useful information and tips to help you get the best of your holidays on the lake. We are always available for any special request or need. At the property, you will also find a menu from our trusted caterer. You can simply order your favourite menu including Tiramisù or Panna Cotta and selected wines and get everything delivered in time for your dinner al fresco on the balcony of Dream ! Jewel is the perfect accommodation for your holiday and family and there enough important services just less than a kilometre away. In the very near centre of the village, there is a superette with a good selection of products, home-made gelato and yoghurt and other fresh stuff for your daily needs. In the same building, there is the local municipality, post office, medical service and ATM cash machine. Across the small piazza, there is a newspaper and tobacco seller, but good also for a cup of coffee or beer with a great view. One cot for a baby is available free of charge, but linen and baby's cushion or duvet is not supplied. The sun filled "Jewel" is located on the first floor of the complex in Via alla Cava Bassa in Perledo. The views from the balconies are gorgeous and its terrace is a bonus to this beautiful apartment. 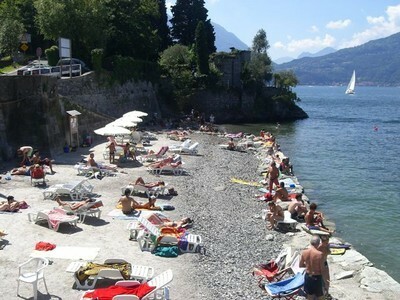 Perledo is the village just above Varenna and besides the chain of mountains called "Prealpi Orobie". 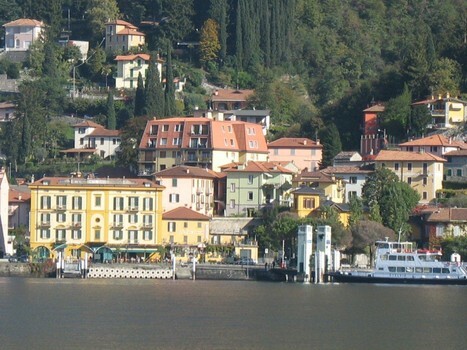 Varenna is an important ferry port connected to Menaggio and Bellagio. Halfway the hillside, you will find the Castle of Vezio which was the last home of the 7th century Lombard Queen Regina Teodolinda. 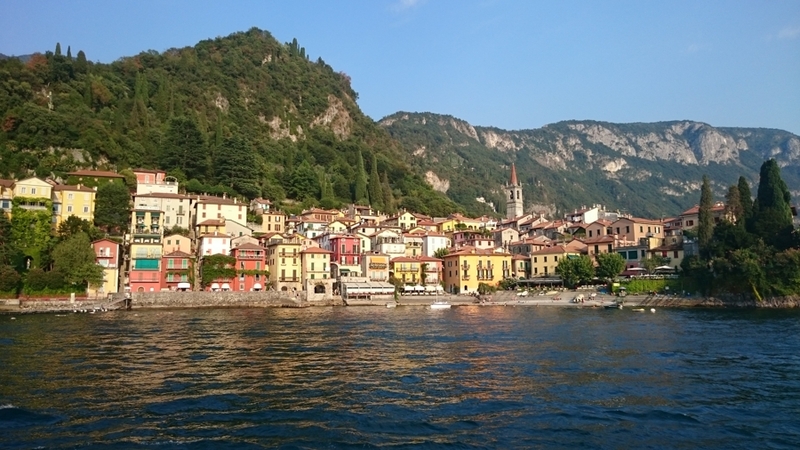 Although it is a small village, Varenna has excellent restaurants, cafés and attractions. The nearby train which connects Varenna to Milan in one hour makes it the ideal base for exploring. Villa Cipressi and Villa Monastero are very famous villas and the gardens of both are open to the public from April to October. 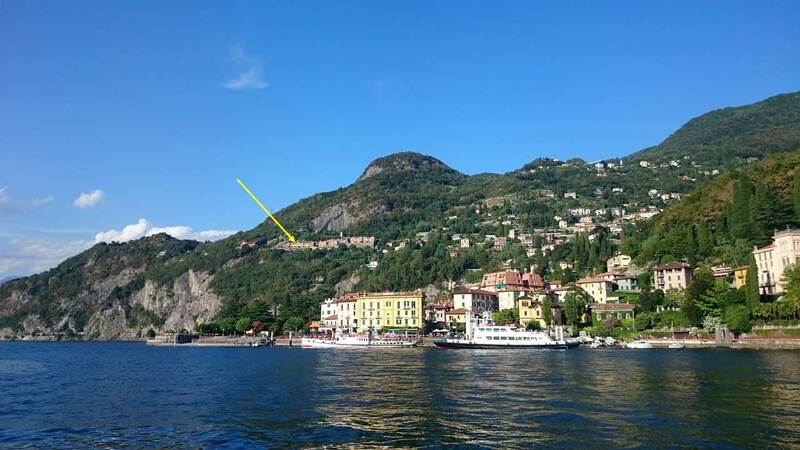 The whole development has been built in the space left by the old quarry of black marble stone (micrite) which brought fame and wealth to Varenna. The famous G.B Pirelli (Pirelli tires) was born in Varenna. This property is perfect as a base for exploring the lake and its surroundings, the nearby Switzerland with the city of Lugano and the very famous Madesimo and Bormio and the whole Valtellina. Prices include all services and linen for number of guests booked and final cleaning. Please arrange prior to arrival for additional linen if required.